Allu Sirish followed his brother Allu Arjun’s footsteps and made his Malayalam debut with the Mohanlal-starrer 1971: Beyond Borders. The film is finally getting a release in Telugu. Titled Yuddha Bhumi, the film is gearing up to hit the screens in March. 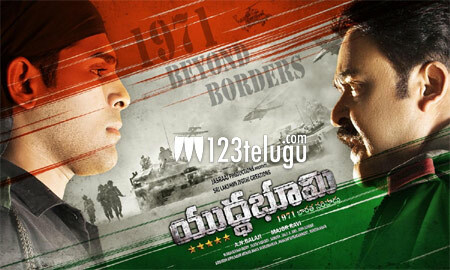 The Telugu version’s theatrical trailer was unveiled last night. In Yuddha Bhumi, Sirish will be seen as Lieutenant Chinmay. Mumbai actress Srushti Dange was paired opposite Sirish in the movie. Major Ravi directed the movie which is based on the 1971 Indo-Pak war. Jasraj Productions and Sri Lakshmi Jyothi Creations banners are releasing the film in Telugu.